Do I Need Antifreeze In My New Car’s Gas Tank? How many of us who drive every day know nothing about car maintenance? This important knowledge about your vehicle can have a huge impact on the way your car performs and its overall longevity. If you wish to keep your car in tip-top shape there are some routine things you can do. First, periodically check the car’s fluids. Keeping these at a proper level prevents many problems, some of which can be catastrophic. If your oil or water runs dry, you are looking at a new engine or replacing the car entirely. Regularly check your oil, antifreeze, power steering, and even wiper fluid. In addition, changing your oil should be done periodically. The owner’s manual recommends changing your oil every 3,000 miles, but you can actually go much longer depending on how the oil looks when you check it. Ideally, the oil should be mostly clear and if it appears cloudy or dark, it might be time to get an oil change, or even tackle it yourself. Changing the oil is a simple process and fluid upkeep isn’t the only thing that should be done to keep your car in action. Checking that all your interior and exterior lights are working, making sure the air pressure in your tires are at the correct level, and maintaining your battery contacts are all good places to start. One important questions that commonly arise in reference to new cars is whether or not antifreeze is needed. 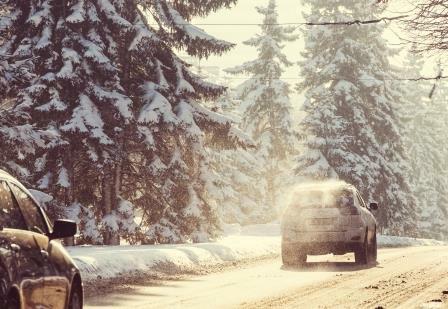 You may have heard that antifreeze in your gas tank, gas line antifreeze, and fuel line antifreeze are suggested in the winter time…but, is it necessary? Gas has an extremely low freezing point (far below zero) so it does not condense; however, condensation can collect in the fuel tank and cause a problem in certain situations. Most gas contains up to 10 percent ethanol and will work as antifreeze. Never add regular antifreeze to your gas tank. However, there is a gas line antifreeze that can be added to the gas tank every second or third time when you fill up. 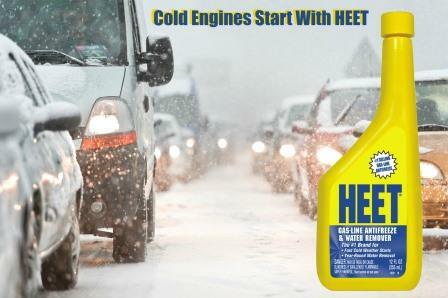 A gas-line antifreeze product such as HEET® is designed to keep the fuel lines from freezing. Although you can purchase special antifreeze made to be added to your car’s gas tank, you should never put regular antifreeze into the tank. If this has happened, you should have the car towed to a service station to have the tank drained. Driving your car in this condition can cause damage every second the engine is running. Don’t scrimp on paying for a tow or to have the gas tank drained. If you attempt to drive it to the service station, you could be looking at the huge expense of purchasing a new engine. Once the vehicle has burned the fuel already in the lines, and the fuel pump picks up antifreeze, which is heavier than gas and pools at the bottom of the fuel tank where the fuel pump picks up gas to transport to the injectors, the engine will shut down. Your entire fuel system, including the lines and injectors, will need to be cleaned to remove any traces of antifreeze. Before doing any maintenance on your vehicle, make certain you know what you are doing. There are hundreds of thousands of online videos showing what to do and many others that offer step-by-step advice. However, car repairs can be extremely costly, and consulting a professional mechanic can save much more than the few dollars it costs for an estimate. Drive safe and smart.